Do you wear green? I have very little in my wardrobe and my Sadie girl has zero green things to wear. I would hate for her to get pinched on St. Patrick’s Day. 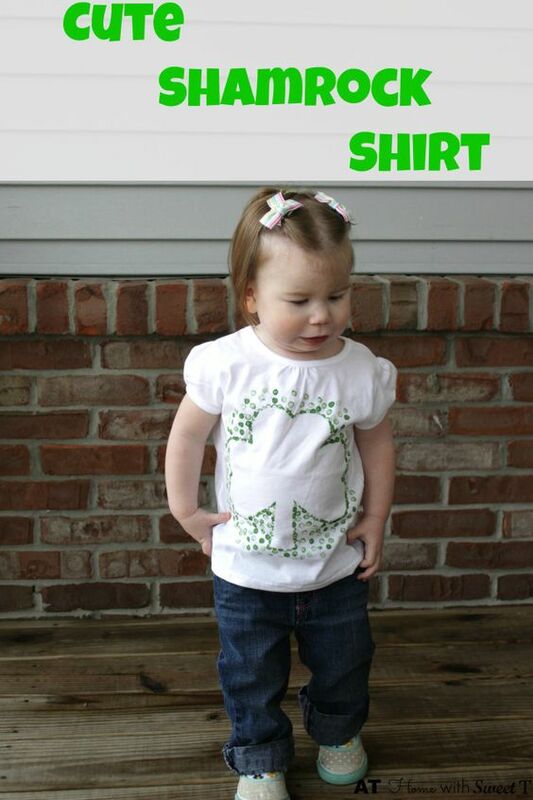 What’s a momma to do?…Here’s how to make a cute Shamrock shirt. I wouldn’t want your cuties getting pinched either. You’ll want to start with a plain shirt. I used white but this could be really cute on a light green color too. Green paint is needed of course. You could use fabric paint if you have it or craft paint. I used a pencil eraser to make the dots, it works great but you could use a small size paint dauber if you have one. You’ll need a stencil. I had my husband draw a shamrock on plain computer paper then cut it out. 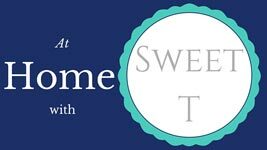 If you can’t draw one there are lots of free printables out there that would work great. Last you need something to put inside the shirt so the paint doesn’t bleed through to the back, like paper our cardboard. Before you begin painting protect the back side of the shirt from bleed through by placing something inside the shirt. Lay the shirt on a flat surface and smooth out any wrinkles. Put the stencil or template where you want the Shamrock to be. You can use spray adhesive if you have it and want to. I just held the shamrock shape down. Put a small amount of green paint on your paint pallet or paper plate or whatever you use, like a dime size. Dab the eraser in the paint then dab off a time or two before painting on the shirt. Start by placing dots on the line of the shamrock. You can dab the eraser around for lighter dots before loading with more paint. Once the outline of the shamrock is done work your way out with more dots. Now you have a pinch free cutie! My Sadie Girl looks pretty happy to be unpinchable! holiday, kid, paint, wearable. Bookmark.